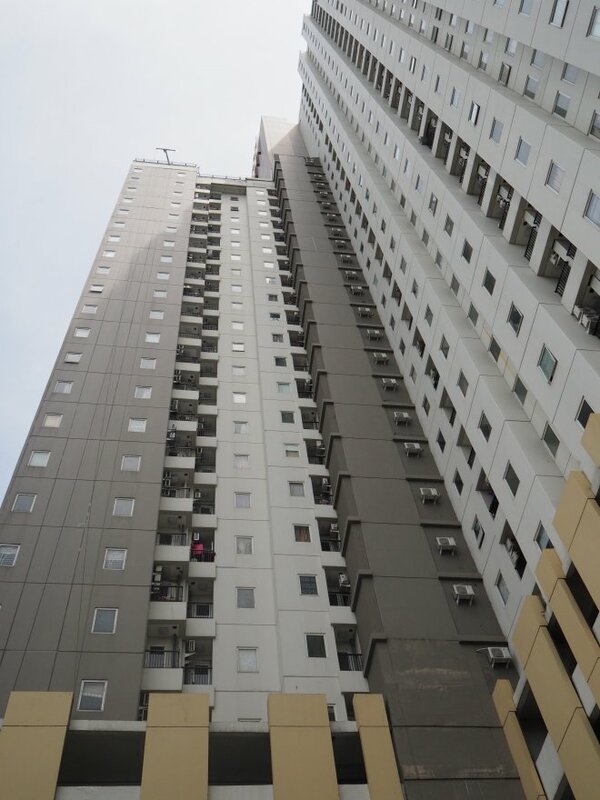 Northland Ancol Residence is a midrange apartment tower of 38 floors and 806 units. 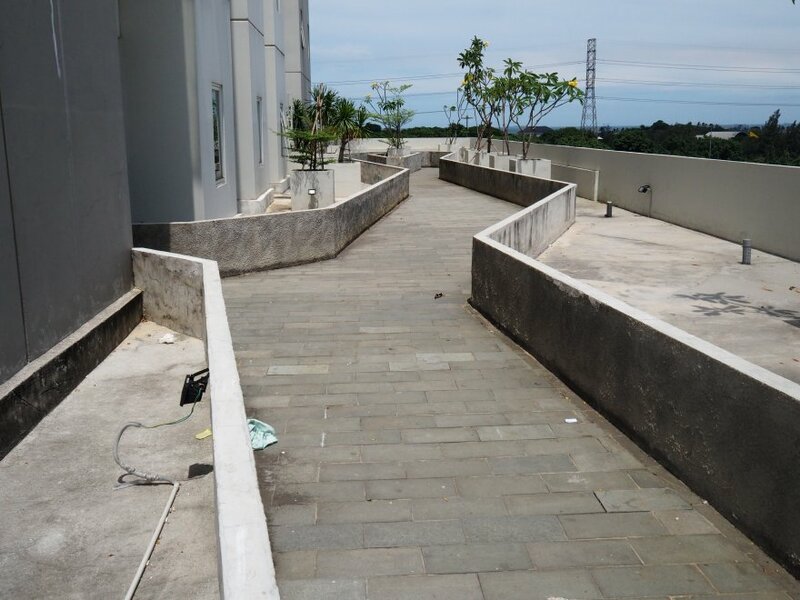 It was built in 2013 by PT Pembangunan Jaya Ancol, a company that also manages Taman Impian Ancol and which is partially owned by the government. 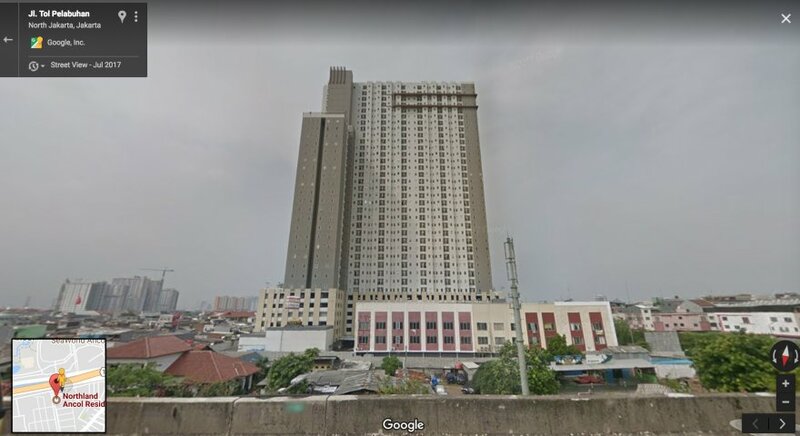 In which neighborhood of Jakarta is the tower located? 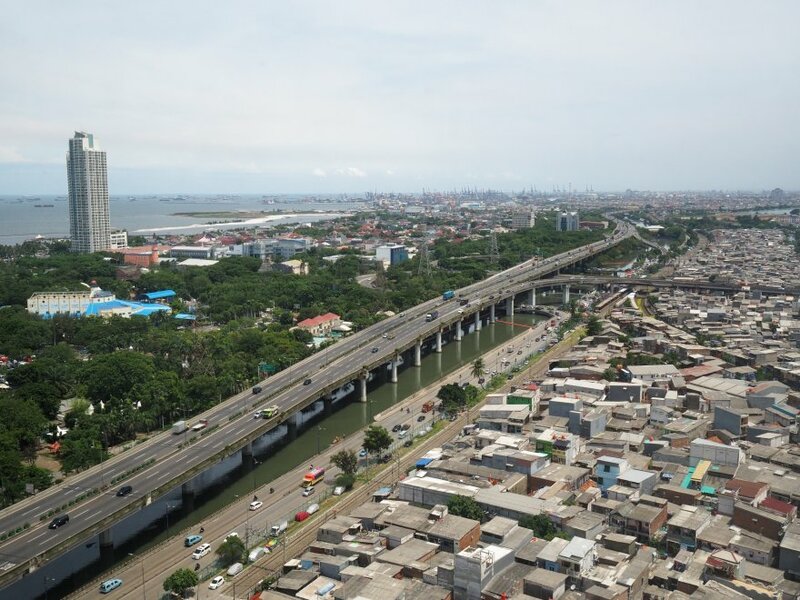 Ancol on one side (near the sea) and Pademangan Barat on the other side (right of the highway). Photo was taken from Northland Ancol. Though it has Ancol in its name, Northland is actually in the Pademangan Barat subdistrict which is a rather traditional neighborhood, mostly poor and working class. Ancol is still nearby, across the highway. Most of this subdistrict is occupied by Taman Impian Ancol, a complex with amusement parks, hotels, malls, restaurants and parks. 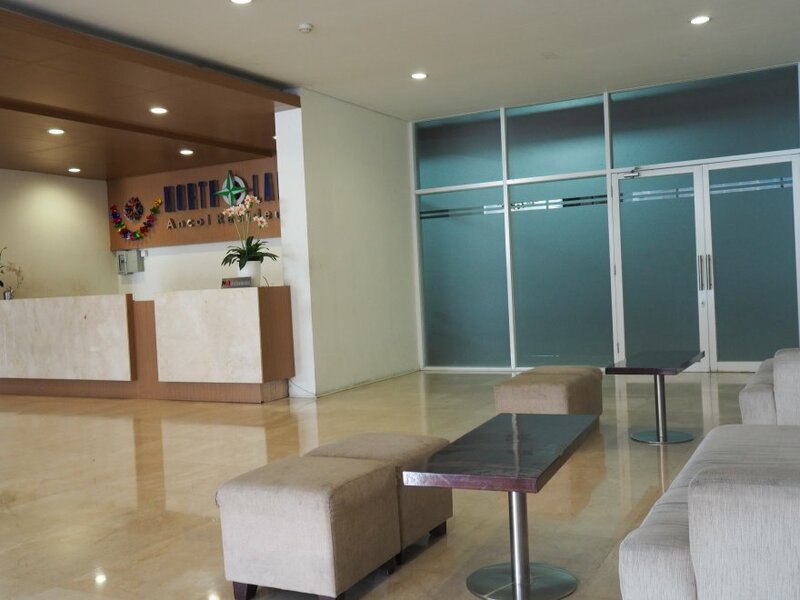 The commercial area of Mangga Dua is also part of it, notably Mangga Dua Mall, Mangga Dua Square, ITC Mangga Dua and WTC Mangga Dua. The surroundings are not very interesting, consisting of low-rise buildings (houses, shops or tokos, warehouses, etc). It is a local neighborhood, a bit dirty and messy. WTC Mangga Dua, Mangga Dua Square, ITC Mangga Dua: These large shopping centers are all nearby from each other and they are quite popular with the middle-class crowd. They don’t have famous retailers, but an army of independent sellers offering everything from clothes to electronics. It takes about 10 minutes to go there by car. For lifestyle malls (with cinemas, better restaurants, top brands, department stores, etc), you will have to go further to Emporium Pluit (20 minutes) or to Baywalk Mall (30 minutes). There is a Carrefour in Mangga Dua Square. Also, the local market Pasar Jaya Pademangan Barat is 1 kilometer away. It is the cheapest way to buy fresh fruits and meat. During the day, there are very few places to eat apart from a handful of warungs in the street. At night, many vendors will install a tent on Jalan Budi Mulia Raya. 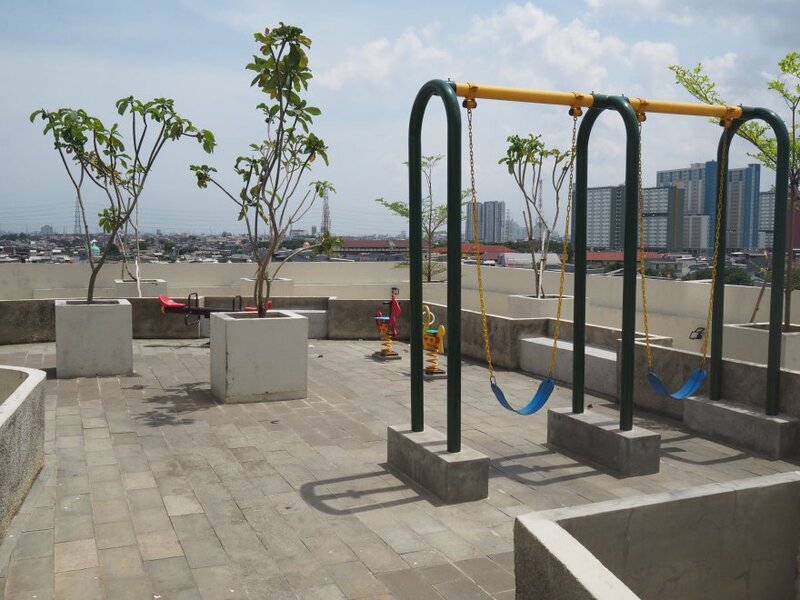 It is perfect for those who enjoy Indonesian street food. For more sophisticated cuisine, you will have to take a car and head to Ancol, Pluit, Mangga Besar or even Kelapa Gading. Still, most of the restaurants there will serve Asian dishes, especially Chinese. North Jakarta nightlife has two sides. A quiet one, near the beachside in Ancol, in restaurants and bars like Segarra, The Pier by Kalaha or Le Bridge. There is also a much wilder side as the area is known to have many prostitution venues. This is particularly true in Jalan Mangga Besar, Jalan Pangeran Jayakarta and Jalan Industri Raya. 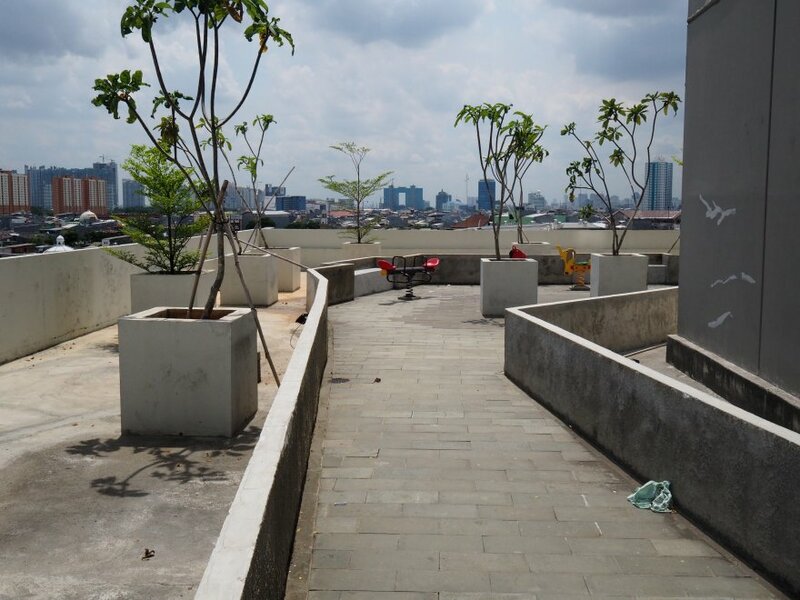 As far as I know, the area doesn’t have reputed schools or universities (apart from Bunda Mulia – 8 minutes away). 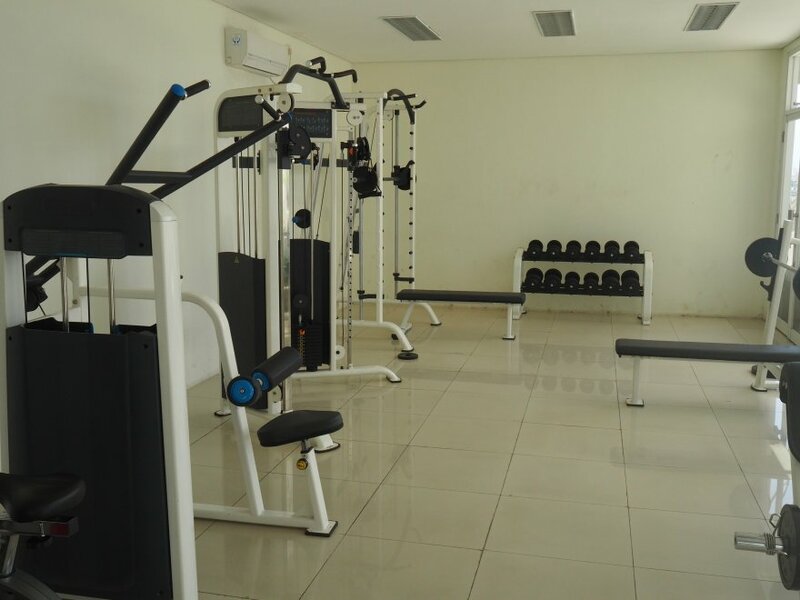 The closest ones will be in Kemayoran, Pluit or Kelapa Gading (at least 20 minutes by car). 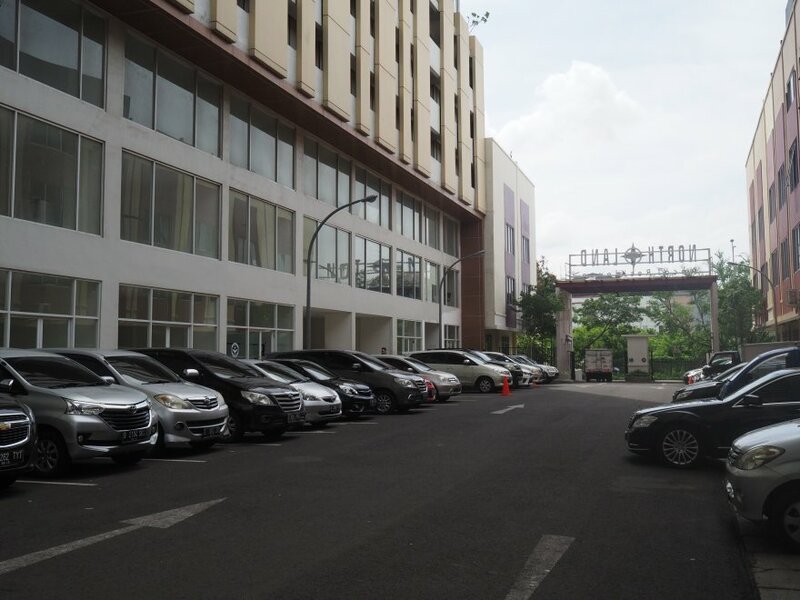 RSU Pademangan is the nearest one. If you are not in an emergency, I advise you Mitra Kemayoran instead (15 minutes). 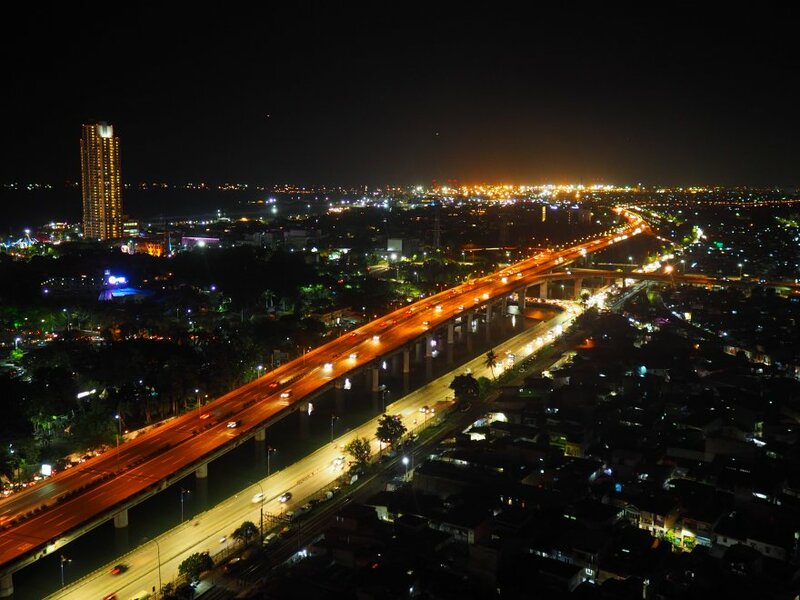 Ancol Park is just across the highway. You can walk along the artificial beach, among other things. There are not many offices in that area and the people who live there often have small businesses. 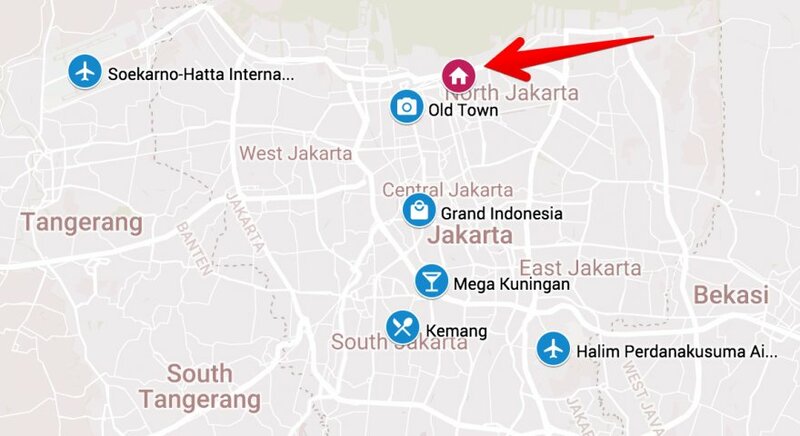 To go to the Central Business District of Jakarta (Sudirman/Thamrin), you’ll need around one hour. 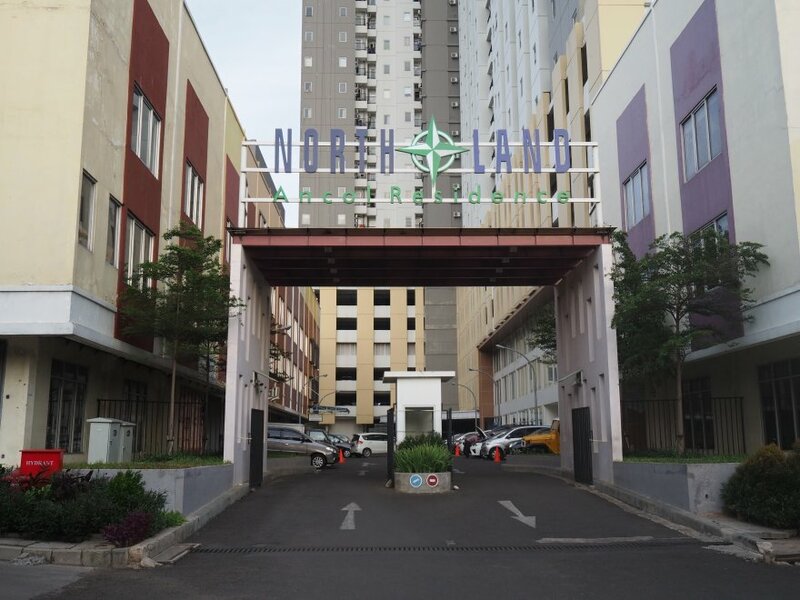 Northland is in a rather strategic position as it is next to the Jakarta Inner Ring Road, just 7 minutes from the Ancol toll gate. 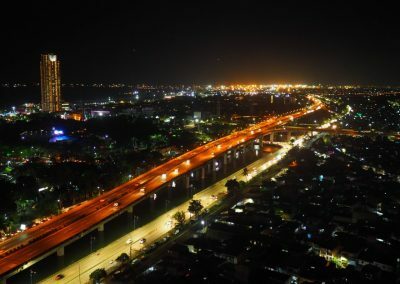 This highway makes it easy to go to the Airport, to West Jakarta and to Tanjung Priok. Jalan Benyamin Sueb is also quite near. 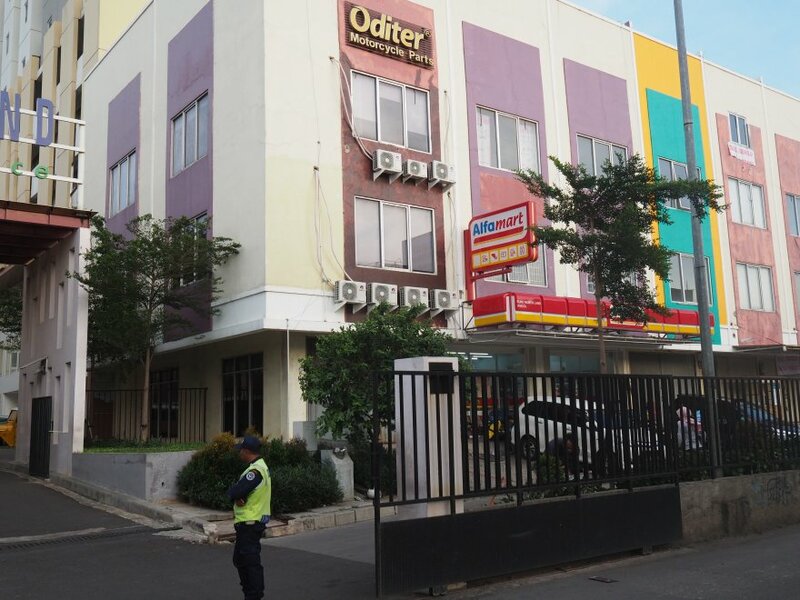 This large street with little traffic crosses Kemayoran and it goes until Senen. That’s convenient to go to Menteng. The traffic is not the worst you will get in Jakarta, but still, it can be pretty bad during peak hours from 8 AM to 10 AM and from 5 PM to 8 PM. 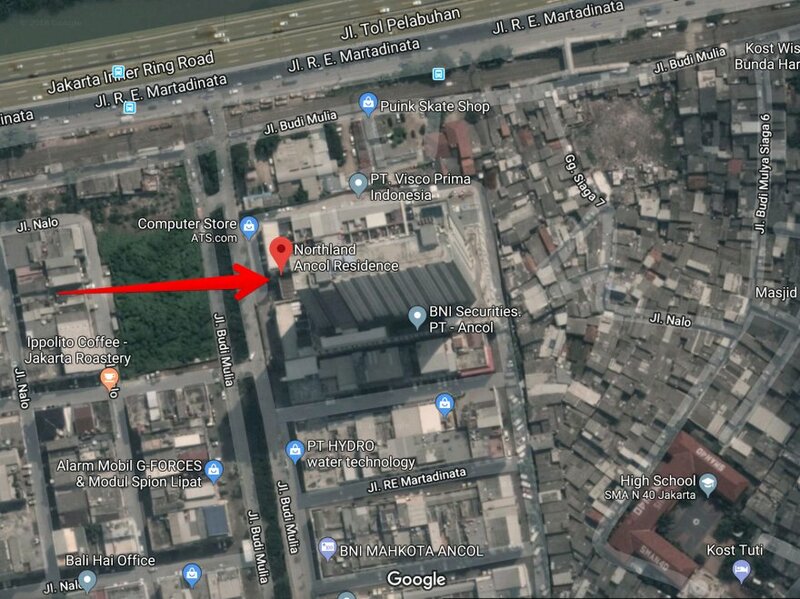 Few taxis will know the location so you just have to make sure they can use their GPS. The nearest TransJakarta Halte is Pademangan, which is more than 1 kilometer away. That’s a bit far to do by foot, unfortunately. 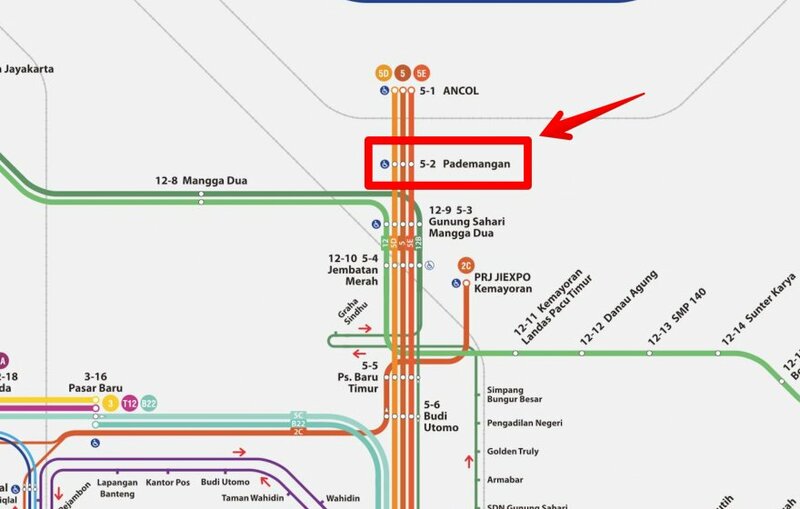 From there, you can catch the lines 5, 5D and 5E going to PGC 1, Kampung Melayu and Kampung Rambutan (all with a dedicated corridor). 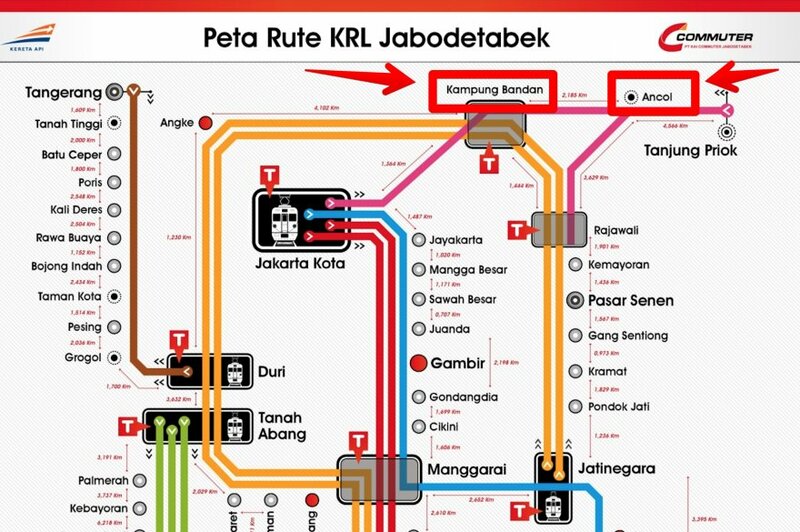 You can catch the Yellow Line from Bogor to Jatinegara in Station Kampung Bandan (2 kilometers away). You also have the Pink Line from Jakarta Kota to Tanjung Priok in Station Ancol (1 kilometer away). In phase II of the project (after 2022), the final station of the MRT Line 1 will be located in Kampung Bandan. This line would go directly to Lebak Bulus in South Jakarta. The sidewalks are not in a good condition. You can just go nearby to reach the nearest warungs and street food stalls. Are there any annoyances in the area? The area is known for having floods quite regularly. If it happens, it is likely that some streets will be blocked and you may have some issues going back home. Also, another annoyance I noticed is that there are quite many mosquitoes around, especially in the lobby. 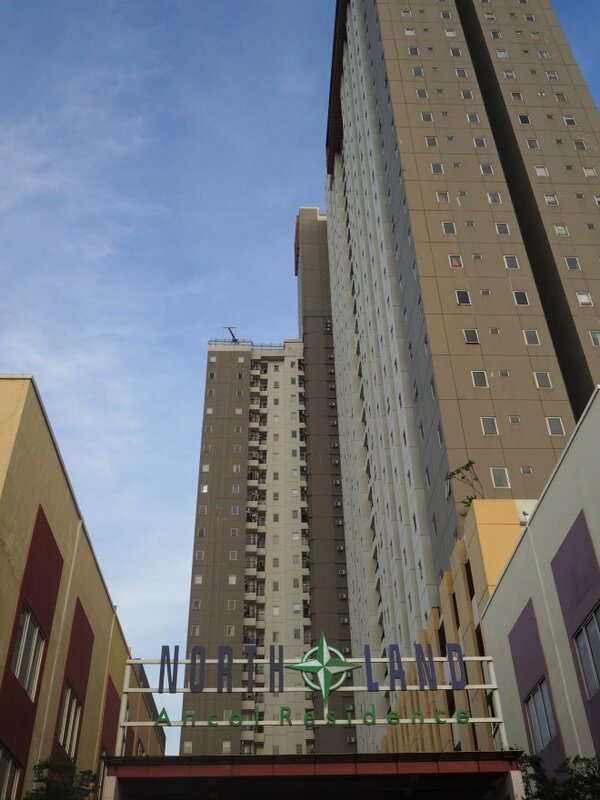 The developer of Northland Ancol is PT Pembangunan Jaya Ancol, which is owned at 72% by the DKI Jakarta province. 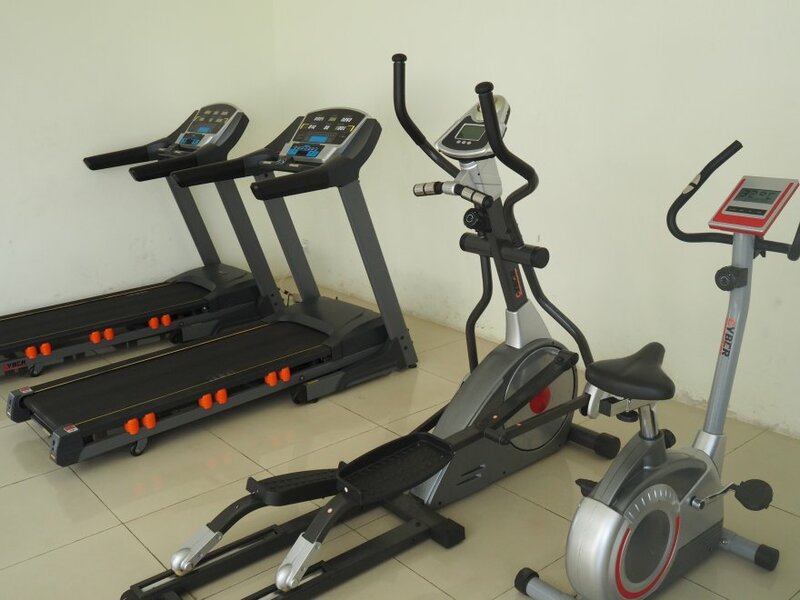 It is managed by PT Pembangunan Jaya (also a shareholder), a joint venture between private investors (like Ciputra) and DKI Jakarta. 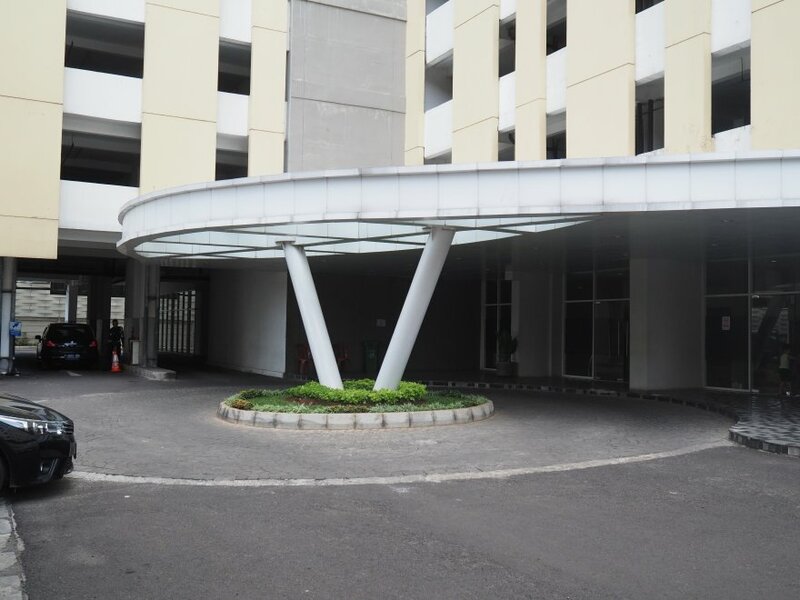 It owns Taman Impian Ancol and Bintaro Jaya (Bintaro Plaza Residences, The Accent, Plaza Slipi Jaya, Plaza Bintaro, Bintaro Jaya Xchange). You should be cautious with government-owned companies. They often suffer from poor management and corruption. On the plus side, however, they don’t have difficulties with land ownership and certificates. I don’t have this information. 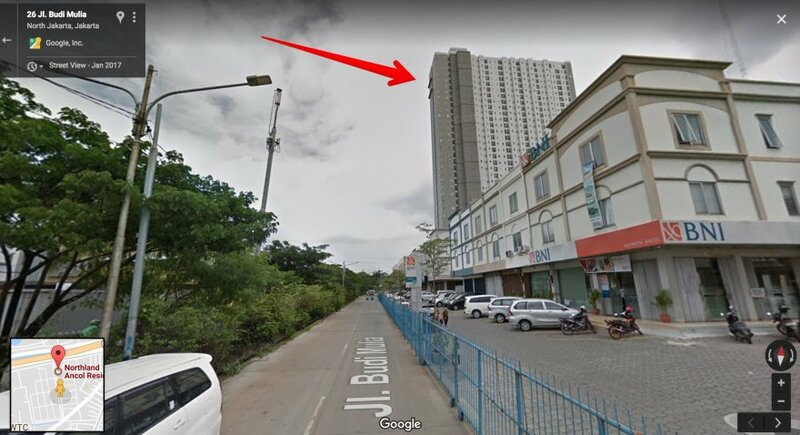 The contractor was Jaya Konstruksi, a large government-owned company that has been involved in high scale projects like Ciputra World 2 or the Jakarta MRT. It is a rather massive concrete block with small windows and balconies. The AC units are visible. It’s typical of a budget/midrange property. The entrance is discreet, off a quiet street. You have to pass several “rukos” before reaching the car lobby. The reception is spacious, with plenty of sofas for sitting. It has a marble floor, but the rest of the design looks rather old-fashioned. 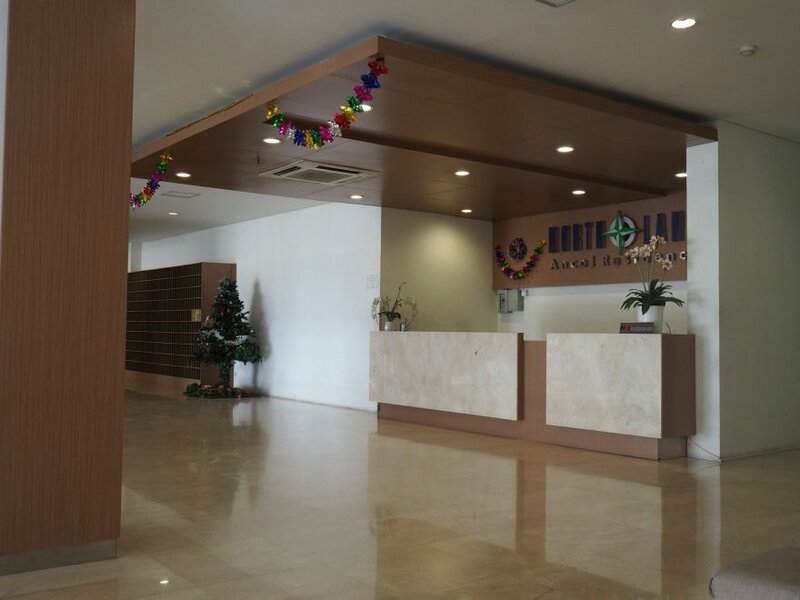 It gives the impression of being the reception of an office building, not that of a residence. The landscaping is not very good. 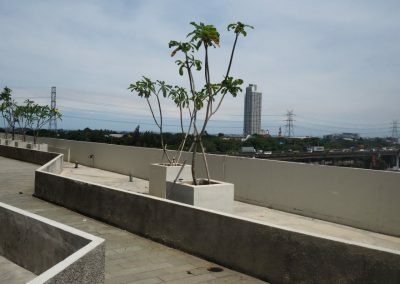 Some spaces were supposed to be planted, but they were empty when I visited. 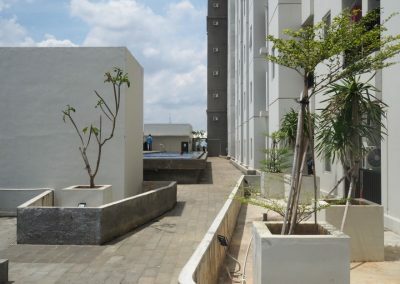 Overall, there are very few public spaces in the complex. Basic, with a gypsum ceiling and uniform white painting. Ceramic tiles on the floor and simple lighting. Average quality. There are still traces of paints and drips of cement from the construction. 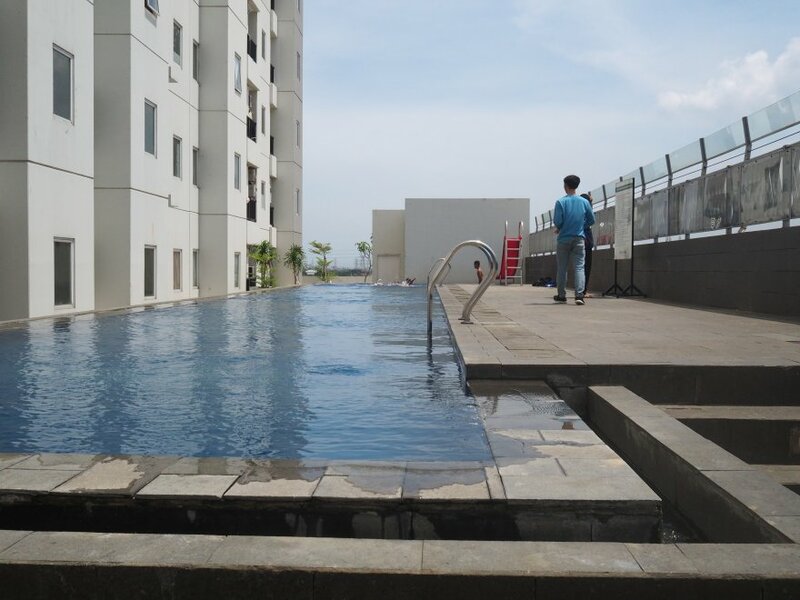 – Swimming pool: There are two, including one on the rooftop (not pictured here). They are disappointing as they are small and the area surrounding them is not pleasant. 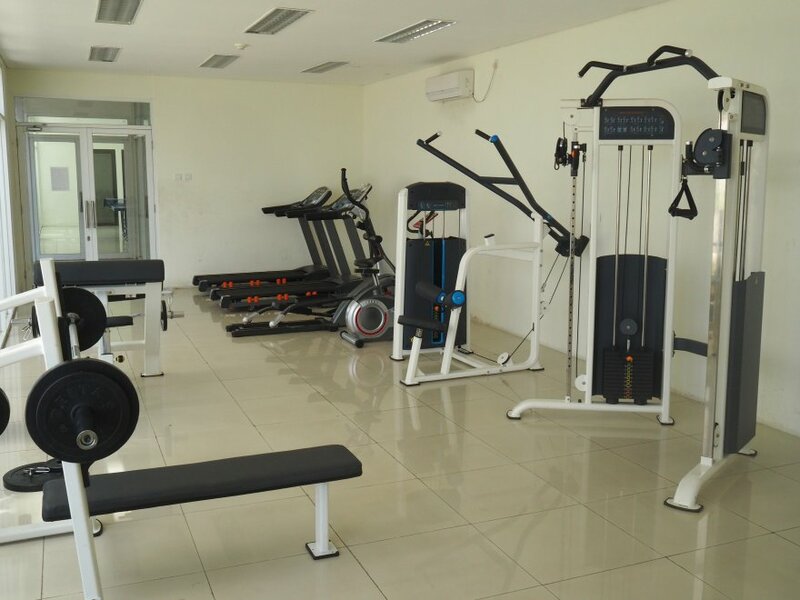 – Gym: It has the basic equipment, with semi-professional brands. – Kids’ Playground: A few games set in a concrete environment. I didn’t like it. 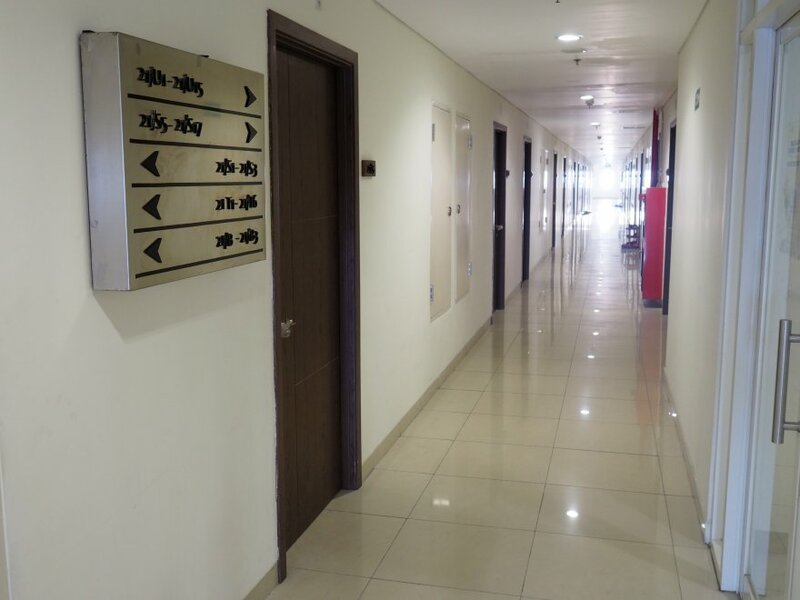 A few services are available: ATM, laundry, minimarket (5 minutes away), salon. None that I know of. Each apartment has a different limit so make sure you get enough for your needs. 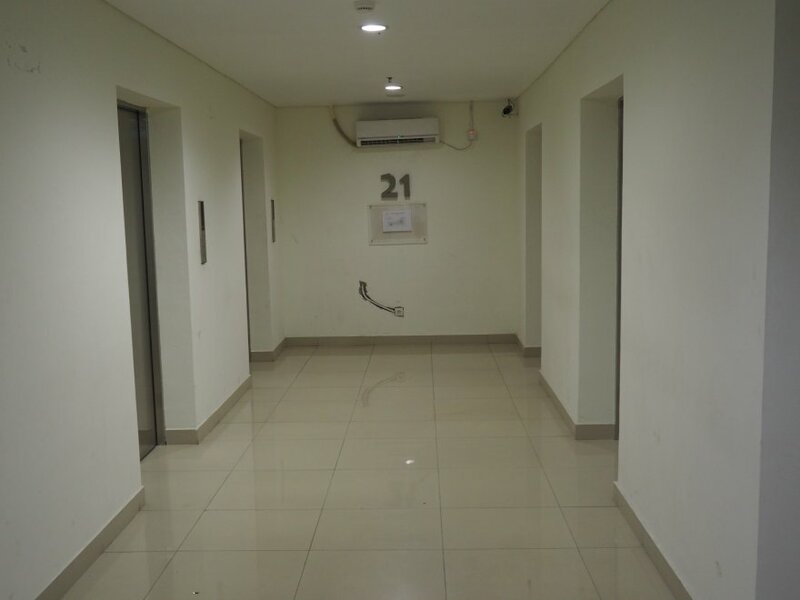 There are 8 lifts in total in the building, including for service. This is sufficient. The property seemed busy when I was there, without being overcrowded. It can be as there is a large highway on the Northern side and at least 3 mosques on the Southern side. Most residents are either Indonesian Chinese or Indonesian Pribumi from the upper middle class. It was completed in 2013. Yes, there are a few + some defects from the construction. This is particularly the case near the swimming pool area (see photos of landscaping above). It was fine overall, even though some areas were not clean (for instance, the “garden” around the swimming pool). There isn’t a real garden, only a handful of trees and plant. 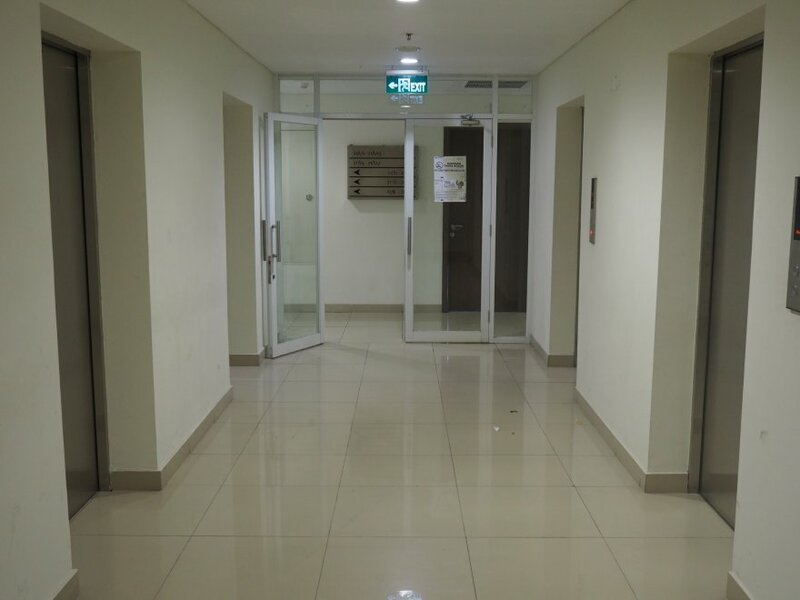 – CCTV cameras: Yes in the lobby and in the corridors. I noticed that the reception staff was often replaced by security guards. It may be a sign that they lack employees. 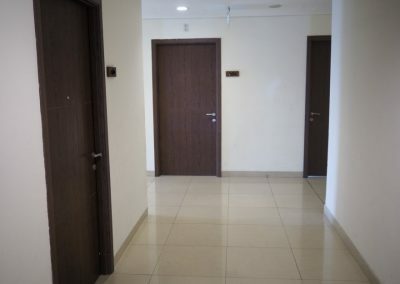 Prices at Northland Ancol Residence may vary depending on many factors such as the floor, the unit type, the room condition and the furnishings. The apartments with a sea view have the most potential in my opinion. I would not as I don’t feel it is a unique property in terms of location (nothing to do around, no malls), quality (problem with finishes, small pool) and price. 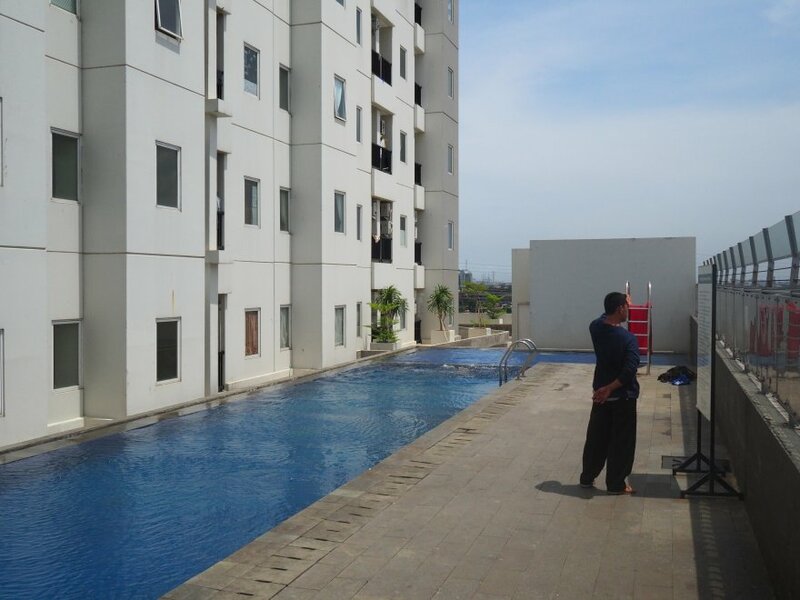 - Swimming pool and garden area are too small. No green spaces. 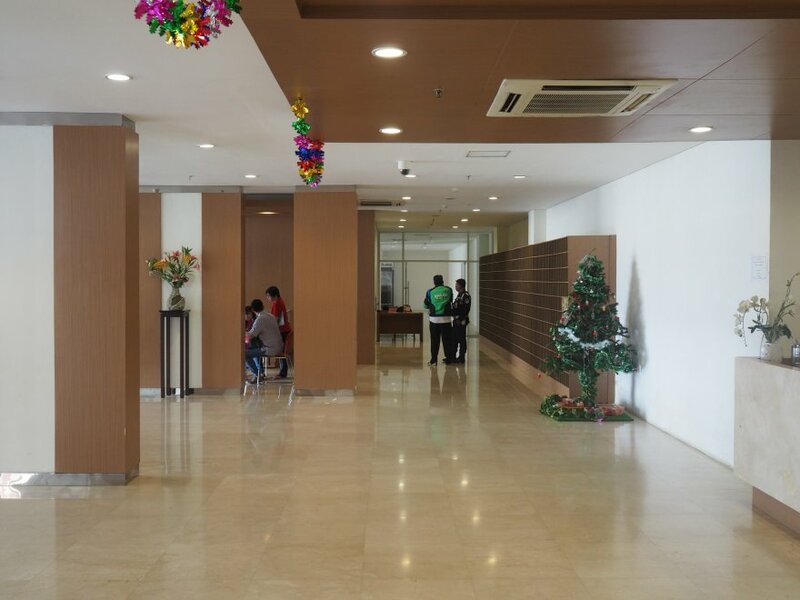 - Not enough services available such as banks, canteens, laundry, etc. - The property is owned by a giant government-owned company and not a specialized developer.